As I mention often, the Magic Kingdom is full of so many little details that most guests don't notice. In this smart phone world that we live in, so many of us walk around the parks looking down. However, it is a great idea to look up once in a while. A great example of this can be found in the Caribbean Plaza area of Adventureland. 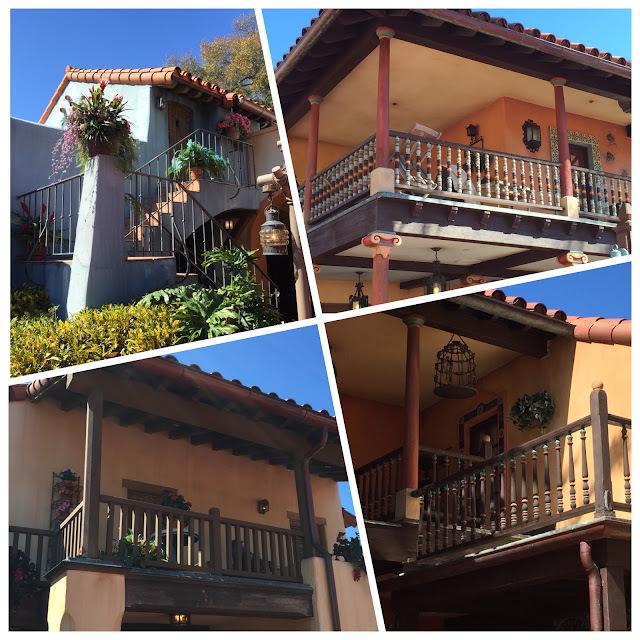 I took these shots of the "balconies" around Pirates of the Caribbean and Tortuga Tavern. If you look at the top right photo, you'll see a story being told. Looks like a scurrilous pirate overturned a table and chair up there!